The 800W 12V, 1.6KW 24V, 2.4KW 36V, or 3.2KW 48V for Lithium or Lead Acid Battery Packs Solar Charge Controller is an industrial grade product with advanced Maximum Power Point Tracking (MPPT) algorithm. 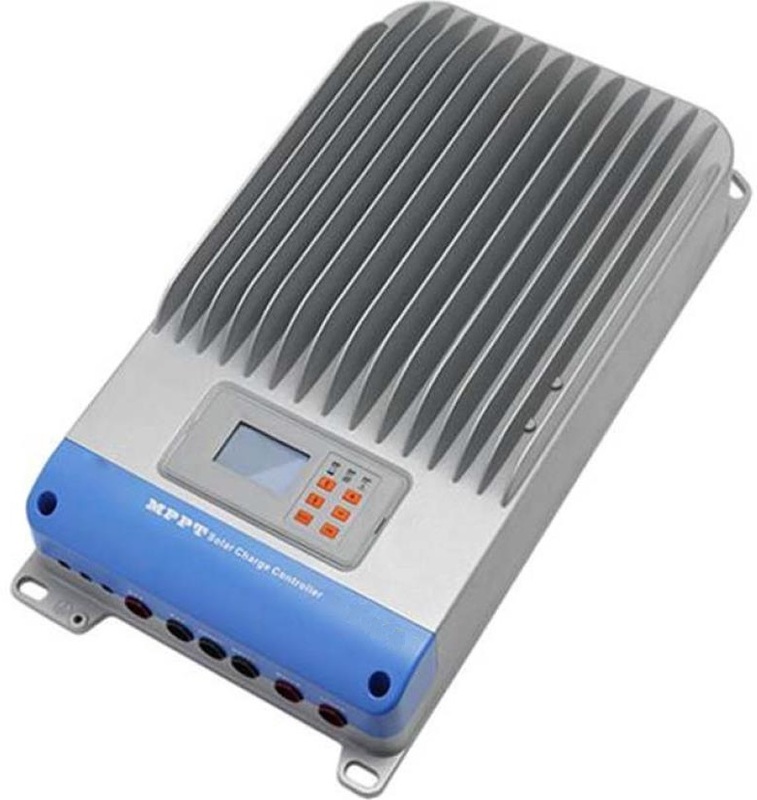 It can deliver the maximum available power for charging batteries and charge a lower nominal voltage battery from a higher nominal voltage array and can be applied in the off-grid PV systems up to 3KW. The die-cast aluminum design ensures excellent heat dispersion. Energy statistics recording, it is convenient for users to view charging and discharging energy of each day, month, year and total value. There are 2 ways to get an exact quote for the base shipping for your 800W 12V, 1.6KW 24V, 2.4KW 36V, or 3.2KW 48V for Lithium or Lead Acid Battery Packs Solar Charge Controller order. We’ll research the exact shipping cost and send you an invoice to your PayPal or email or you can add it to your pallet in $1 Shipping Increments for your 800W 12V, 1.6KW 24V, 2.4KW 36V, or 3.2KW 48V for Lithium or Lead Acid Battery Packs Solar Charge Controller order.